Currently, I am enrolled in Virgie Tovar’s excellent Lose Hate Not Weight Babecamp. For those of you who are unfamiliar with the fabulosity that is Miss Virgie Tovar, you really should check out her site and her book! To clarify, I’m not trying to give a dear friend a shameless plug. Instead, I’d like to discuss the art of the selfie (in relation to body love). Recently, in Fluevog Fridays (the Facebook group dedicated to bringing Flueddicts together), many members have talked about how the group functions as a body positive space. It’s true. Of the many things I love about Fluevogs is that there is a Vog for everybody. Literally. EVERY. BODY. Naturally, areas where Flueddicts gather tend to be loving spaces (like this blog). Recently, there have been requests from various members of Fluevog Fridays to post photos of entire outfits (as opposed to the endless sea of from-the-knee-down-selfies). Confession: I’m a from-the-knee-down-selfie kind-of-gal. From there, other members expressed how hard it is to get a full body shot of one’s outfit without a) a friend to take the pic and/or b) a full-length mirror. Today’s post is about taking the full-body selfie (using some simple tools). 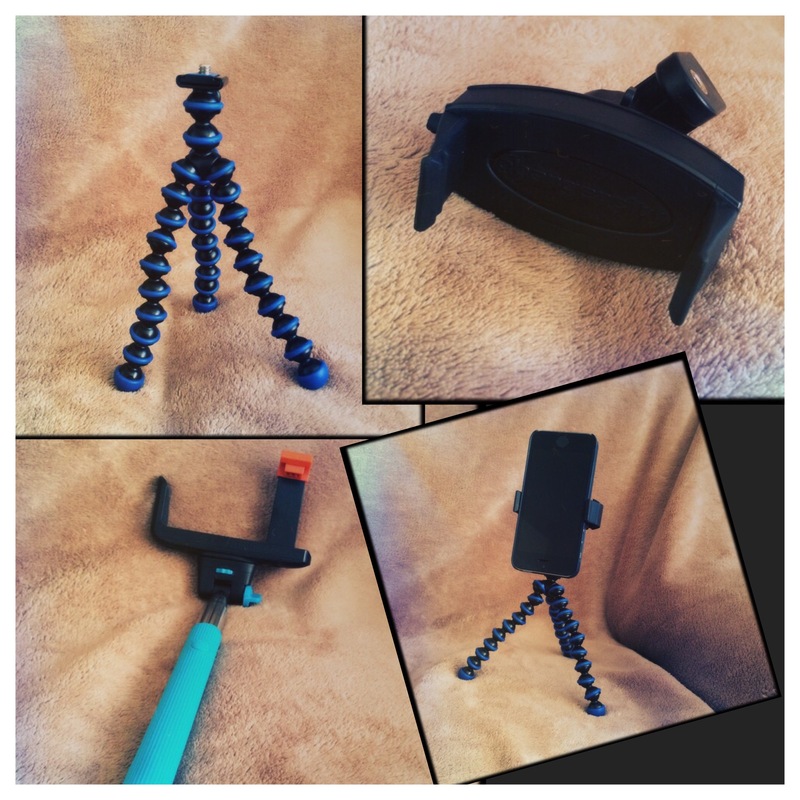 Clockwise from top left: JOBY Gorilla Flexible tripod; ChargerCity cellphone tripod mount; cellphone and tripod set-up; selfie stick with remote control shutter. In the photo above, all you really need are the tripod and the cellphone mount. (I recommend this particular one because it can grip various structures to keep it steady. Plus, it comes with the cellphone mount. Though I have no experience with it, this package also looks promising, since it has the tripod, mount, and stick. Please note that you need to make sure the tripod and cellphone mount you chose is appropriate for your device.) With these things (that are totally portable), coupled with your camera’s self-timer, you’re good to go. I get that selfies are seen as vain. In many cases, it’s true. However, as I’m going through Babecamp, I’m having a change of heart about selfies. The selfie, for someone like me (ya know… brown, thick, with dark features that will never ever be seen on TV, film, etc.) can become a tool of empowerment and re-claiming the body. (There’s more to this, but I’ll leave that for another post.) I cannot begin to tell you how inspired I was by No Pants 2011. 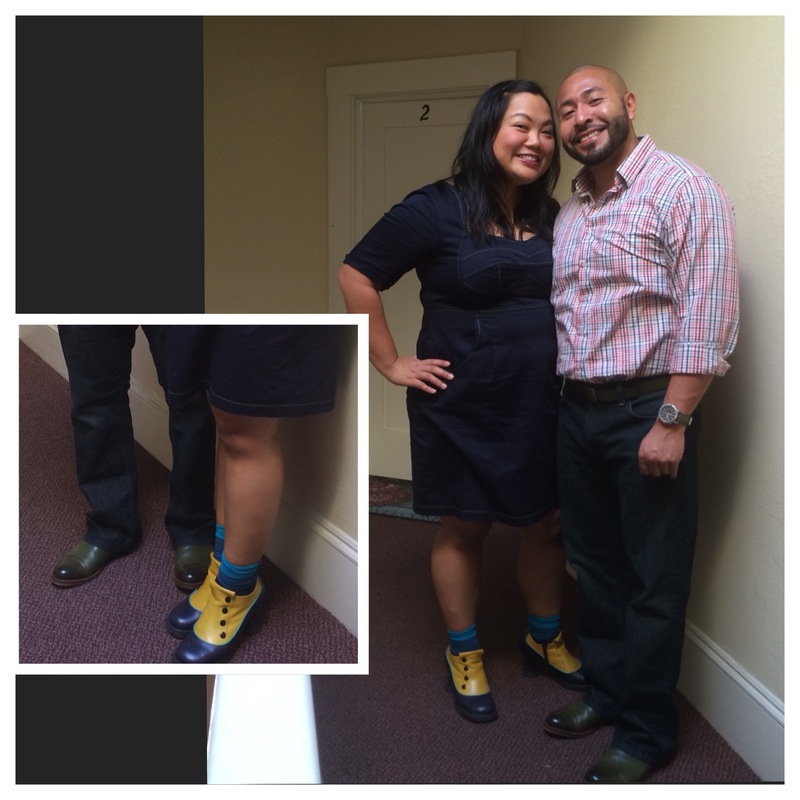 Seeing the outfits really helped push me to wear my Fluevogs on a daily basis. 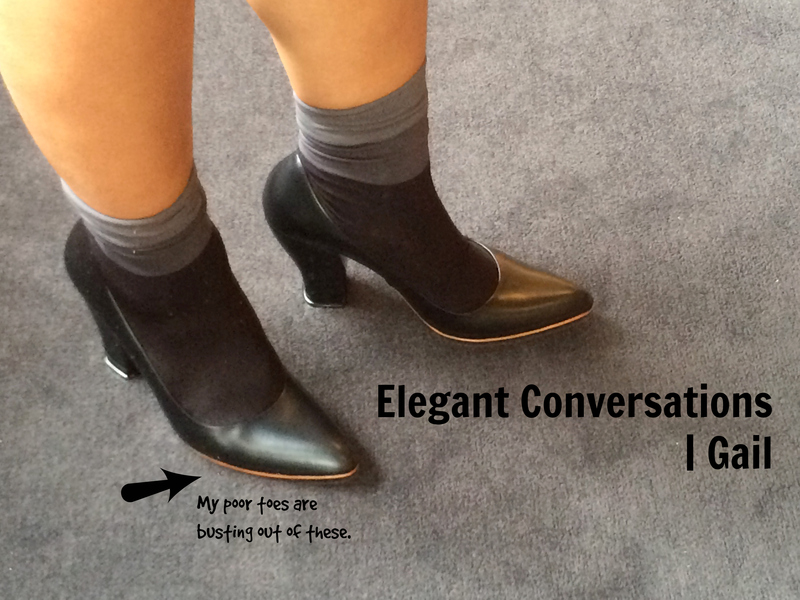 Fast forward to 2014 and Fluevog Fridays, I’m constantly inspired by the loving community of EVERY BODY fashion. I think if people had some simple tools, we’d see more full-body selfies. This is my final post, which looks at this season’s offerings. Well, it’s the final one for now. I had the pleasure of visiting our dealers at Haight Street and they were kind enough to let me try on thirteen different pairs of Vogs (plus the three pairs the Manpanion tried on) within two different visits. Believe me, it’s a total production for them to bring out all the boxes and pack them up and such. I’m very thankful for their patience and their excellent suggestions. Here we go…. 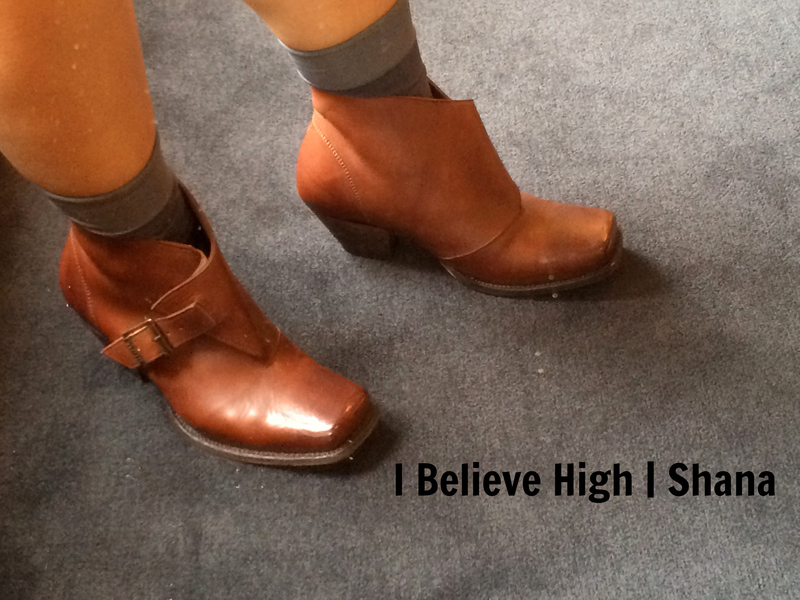 I Believe High | Shana. Size 9. True to size. I’m a HUGE fan of the I Believe family. These are as awesome as my Simons. The toe area is really roomy and you don’t really need a break-in period. I should have tightened those buckles! 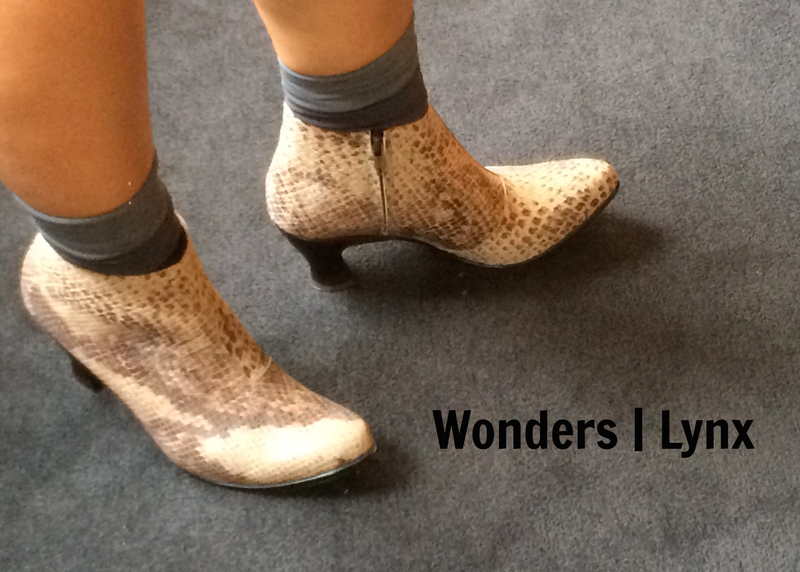 Wonders | Lynx. Size 9. Need to size up to size 9.5. I’m not a snakeskin person, but man, these were awesome! The heel is low and comfy, and this boot looks amazing with jeans. 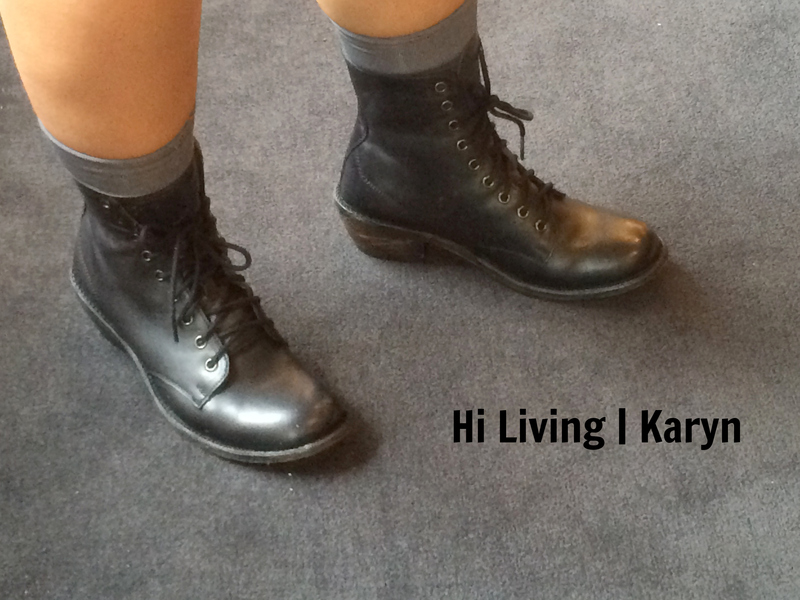 Hi Living | Karyn. Size 9. True to size. These are cousins to the Malcolm, a Vog I wish were part of my collection. These seem to be a descendant of the I Believe family in terms of comfort. Hence, I’m a Karyn fan. I hope these come in different colors in the future. Elegant Conversations | Gail. Size 9. Runs small. I probably need size 10 because my feet are so wide. OMG. My toes were totally in pain when I tried these on. As I’ve said before, pointy toes and I just aren’t good friends. However, these are a GORGEOUS black pump. If I were in the market for a pair, I’d size up. The heel is sturdy and I love the profile. When I get back to the bay area, I’ll have to re-visit Gail in a more appropriate size. 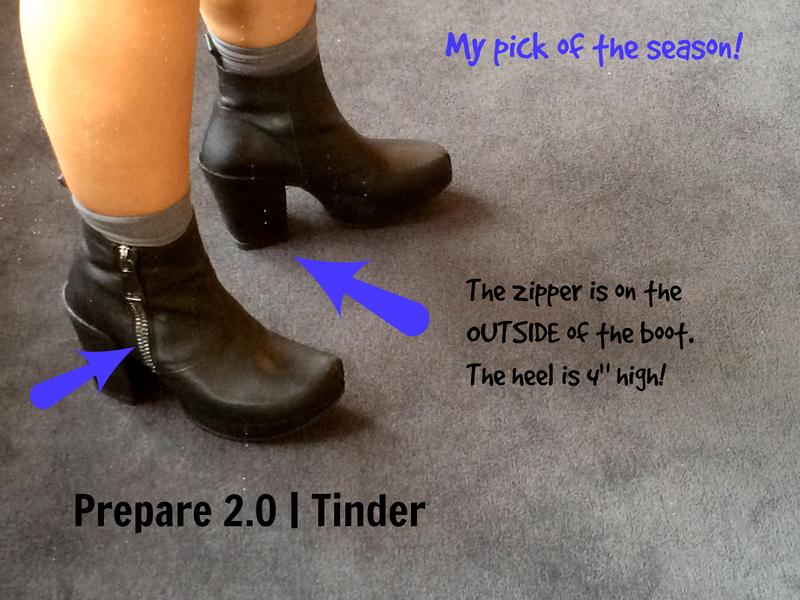 Prepare 2.0 | Tinder. Size 9.5. I recommend sizing up 1/2 size. [Cue the music of the angels] Major credit goes to Queen Monika. I thought I was done trying shoes on when she suggested I check these out. When I tried these out, I felt like a goddess. While I’m not in the market for a black boot, I am ALWAYS looking for the Vog that makes me feel invincible. This season, that Vog is the Tinder. Without batting an eyelash, these went straight to layaway. I can’t wait to take them home. That’s it for the FlueReviews (for now). Hope you’re having a wonderful fall!